At North County Electric, LLC, we know that your electrical needs can’t wait, that’s why we’re dedicated to superior customer service and are pleased to provide all customers with a 24-hour call return guarantee. 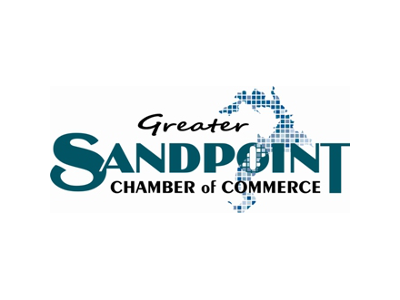 From Sandpoint, to Coeur d’Alene, to the Canadian border, we offer residential, commercial, and industrial electrical services to the residents and businesses that call North Idaho home. 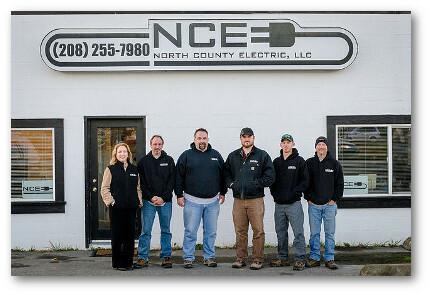 Family owned and operated, North County Electric has been providing North Idaho with quality service since 2009. “Bringing power to our community, and service to it’s people,” isn’t just our motto, it’s our way of life. 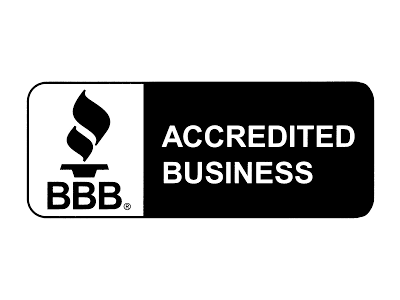 Licensed and insured, company President Sean Behm is a master certified electrician, with over 25 years of experience in residential, commercial, industrial, and public works projects. 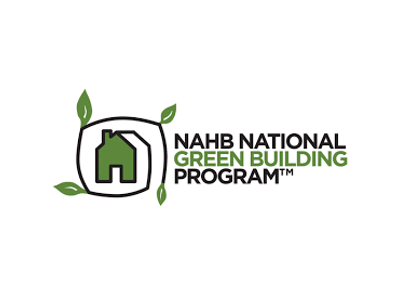 North County Electric is also a certified Green Builder. Our staff members are thoroughly trained professionals who show up at each and every job well-groomed, well-mannered, and on-time, every time. 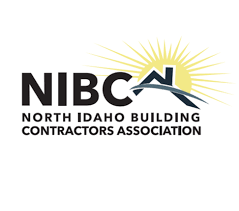 We strive to hold ourselves to the highest standards and quality of service. 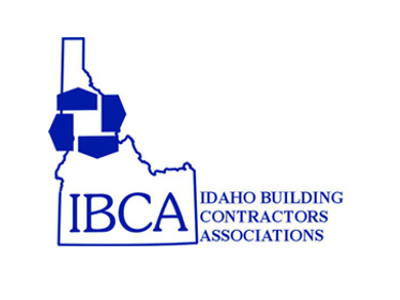 Whether your project is simple or complex, you’ll be treated and charged with fairness and honesty —no job is too small, and the biggest projects needn’t worry about being over-charged. North County Electric, LLC accepts all electrical bidding opportunities and looks forward to working with you to make your dreams a reality. Light-emitting diodes or LEDs are one of today’s most energy-efficient and rapidly-developing lighting technologies. Quality LED light bulbs last longer, are more durable, and offer comparable or better light quality than other types of lighting. Residential LEDs use 75% less energy and last 25 times longer than incandescent lighting. Better Light Source: LEDs are the size of a fleck of pepper and a mix of red, green, and blue LEDs are typically used to make white light. Direction: LEDs emit light in a specific direction, reducing the need for reflectors and diffusers that can trap light. This feature makes them more efficient for uses such as recessed down-lights and task lighting. Heat: LEDs emit very little heat. In comparison, incandescent bulbs release 90% of their energy as heat while CFLs release 80% of their energy as heat. LED lighting is currently available in a wide variety of home and industrial products. 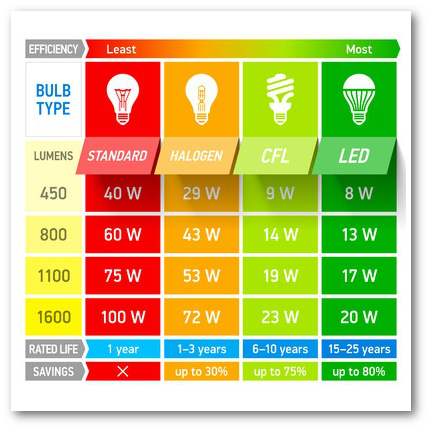 CONTACT US to find out how you can use LEDs to make your home more energy efficient and cost effective. Though solar power is by no means a new trend, it is one that is gaining more and more popularity as technology improves and solar panels become increasingly more efficient. Whether you’re a homeowner or business, the cost of electricity can make up a large portion of your monthly expenses. 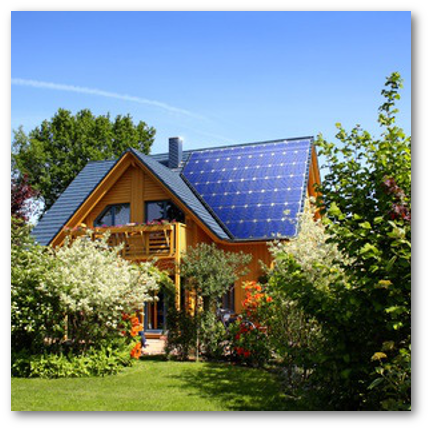 With the installation of a solar panel system, you can eliminate or greatly reduce that monthly bill. The average solar set up has a lifespan of 25+ years while paying itself off in only seven to eight. In addition to reducing monthly expenditures, solar is sustainable and an excellent way to reduce your carbon footprint and energy dependence. A typical residential solar panel system can eliminate three to four tons of carbon emissions each year—the equivalent of planting over 100 trees annually. Electricity, like life, isn’t always predictable – winter storms and high winds can wreak havoc on our grid here in North Idaho. When the power goes out, a standby generator can offer a stable solution, providing a continuous electrical backup for days. A standby generator connects directly to your home’s electrical panel, and when I disruption occurs in electrical service, an automatic transfer switch disconnects you from your utility. Once your home or business is safely off the grid, the switch starts up the generator and begins transferring its power to your electrical panel. 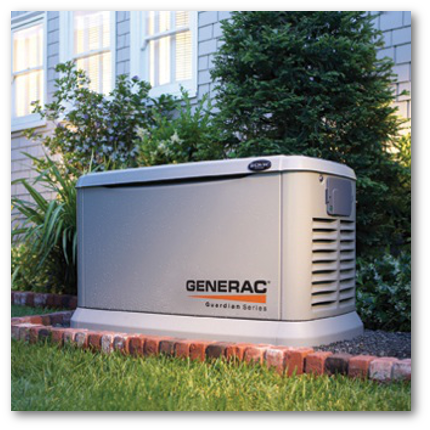 Standby generators are fueled by natural gas, liquid propane, or diesel. When municipal power resumes, the switch shuts down the generator and reconnects you to the grid. The transfer switch acts as a safety mechanism too: It prevents back-feeding electricity to the grid, a potentially lethal practice that can start fires and harm utility workers attempting to restore your neighborhood’s power. This seamless operation makes standby generators ideal for families with small children, home businesses, as well as those businesses needing uninterrupted energy to power equipment. Call us to discuss whether a standby generator is right for you. This is usually caused by one of three things. There could be too many electrical items plugged into the circuit; circuits are designed to only handle so much electric demand. There could be a short in the wiring. The breaker or fuse could be faulty. It is always recommended to have a certified electrician evaluate the problem to ensure there are no safety issues. Your electrician can also talk with you about adding more circuits to your home so that your electrical system can support all your needs. Locate your circuit breaker panel– usually found in the basement, garage, or closet. Locate the tripped breaker. A tripped breaker is indicated by a breaker that is switched to the “off” position (not aligned with all the other breakers) and usually displays a red or orange color. Reset the breaker by flipping it to the “off” position. Then, switch the breaker to the “on” position (you should hear a clicking or snapping noise when it is properly in place). If this does not solve the problem, call a certified electrician to troubleshoot the issue. A GFCI (Ground Fault Circuit Interrupt) outlet is an outlet receptacle designed to protect you from electrical shock when moisture is present. If your house was built in or after 1981, there is a good chance that your kitchen, bathrooms, garage, and outdoor outlets are protected by GFCI outlets. You can identify a GFCI outlet by the two buttons on the face of the outlet. One button will say “test,” the other says “reset.” The “test” button will cause the GFCI outlet to trip (or turn off), and the “Reset” button will reset (or turn on) the GFCI outlet if it has tripped. If the outlet does not reset when the “reset” button is depressed, there may be a problem. SHOULD I WORRY ABOUT OUTLETS THAT DON'T WORK? Plug a lamp into a working outlet and unplug it with the switch still on. Then plug it into the outlet that isn’t working. Look for wall switches in the room (there may be more than one). Try turning each wall switch on. You may find the answer to your problem! If there are no wall switches, try all the other outlets in the room, and if there’s no tripped circuit in your breaker box, you may need to have an electrician check to see if there’s a short somewhere in the system. WHAT IS A "SHORT" OR "SHORT CIRCUIT"? A “short” or “short circuit” happens when the “hot” wire (the wire carrying the electrical current, most commonly the “black” wire) comes into contact with either the grounded conductor (also called the neutral, most commonly the “white” wire) or the equipment ground (the “bare copper” wire or “green” wire). When a short circuit occurs, excessive heat is generated. A short circuit that occurs in your home will generate heat and sparks if left unchecked. Thankfully, the circuit breakers in your electrical panel will cut power to the circuit in the event of a short circuit. If you think there is a short in your electrical wiring, call and electrician. 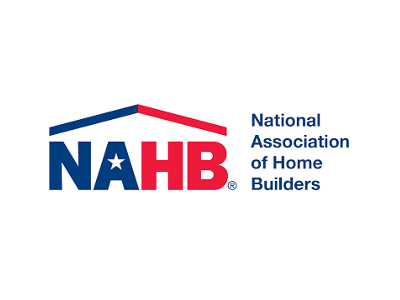 Changing a bulb or fixing a tripped breaker is an easy fix for many homeowners. Beyond this, DIY electrical work can be very dangerous — you risk personal injury, electrical fire, or even death. If you have an electrical problem, we recommend calling a certified electrician to diagnose and repair the issue.